In a media release issued earlier this morning, Progenics Pharmaceuticals has announced the outcome of a Phase II/III trial of their proprietary, PSMA-targeted imaging agent PyL (also known as 18F-DCFPyL) for identification of prostate cancer. The full text of this media release is available on line. PyL did not meet the co-primary sensitivity endpoint in patients diagnosed with high-risk, localized prostate cancer. The positive predictive value of PyL in pelvic lymph node detection was 78 to 91 percent. The negative predictive value or PyL in pelvic lymph node detection was 81 to 84 percent. PyL-based imaging had high sensitivity in the detection of metastatic prostate cancer. The positive predictive value of PyL in detection of metastasis was 93 to 99 percent. PyL was well tolerated, and there were no serious adverse reactions to the study drug. 27/385 subjects (7 percent) experienced at least one treatment-related adverse event. Approval of this agent for use in the diagnosis and work-up of men with prostate cancer will depend on data from at least one Phase III trial (apparently to be based on positive predictive value in patients with recurrent prostate cancer after first-line treatment). The company expects to be able to initiate thsi trial later in 2018. 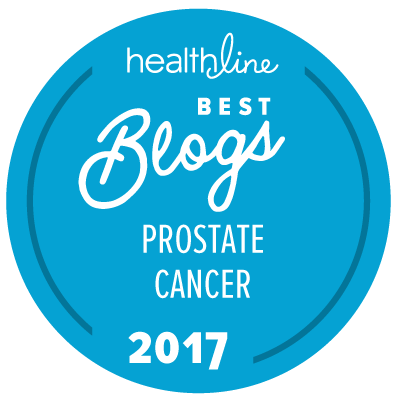 It will take additional time to see exactly how this new imaging agent may be best used in the work-up of selected men with prostate cancer, and the cost of this agent, along with the cost of PET scanning, will also be a factor in determining its utility. Even if this agent does start to see significant use at major medical centers (bazsed on data from the projected Phase III trial and a subsedquent FDA approval), there are liable to be a lot of more rural regions of America where access to a PET scanner (and therefore access to technology allowing the use of this agent) will be at best difficult and sometimes near to impossible. I just reviewed the trial https://clinicaltrials.gov/ct2/show/NCT02981368 and am still none the wiser. We should also note that NIH/NCI is conducting their own Pyl trial https://clinicaltrials.gov/ct2/show/NCT03181867 . It’s explained in the media release. Did you read that? My guess is that, based on this, the FDA may approve DCFPyL for recurrent prostate cancer after prostatectomy (but not after primary radiation), and for metastatic prostate cancer, but not for high-risk prostate cancer. The NIH trial may or may not support additional indications for recurrence after primary radiation and for high-risk prostate cancer. The high-risk cohort is only 55 individuals, and I don’t know how many received the PET scan post-radiation and after biochemical recurrence of disease. It will be interesting to see which indications are included in the Phase III trials. I’m wondering how DCFPyL will fit into the landscape of other imaging agents used in combinmation with PET/CT, such as 68Ga-PSMA, Axumin, 11C-choline, 11C-acetate, and Na18F. Does it have advantages/disadvantages in sensitivity, specificity, interpretation, availability, or likely cost? You are hardly alone in wondering that. However, I think the other products are all going to be superior to the carbon-11 products if only because every dose of those products have to be made on site and on demand because of the very short half-life of carbon-11. They can’t be packaged and shipped, and that is why so few centers are able to offer scans using these products. There is also good reason to believe that the sensitivity and specificity of products like 68Ga-PSMA, Axumin, and DCFPyL are already more sensitive than and at least as specific as the carbon-11 products. Sitemaster – That’s what I’m thinking too. I’m also wondering what we know about risk of using this new contrast agent – probably not much beyond the safety data in the trial. Perhaps this review by Allen will help resolve your questions.